With the release of Harry Potter and the Order of the Phoenix and Harry Potter and the Deathly Hallows rapidly approaching, there are several television specials about the world of our favorite wizard due in the coming days. First, cable station A&E is set to broadcast a new special called “The Hidden Secrets of Harry Potter” that will air July 8 at 10pm. 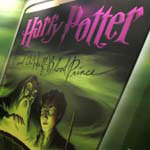 Featuring Floo partner and HP Lexicon founder Steve Vander Ark, as well as authors and scholars John Granger and Janet Batchler, this show will take a closer look at the beloved Harry Potter book series. Also, in the UK, channel ITV is set to air two specials about the upcoming film “Harry Potter and the Order of the Phoenix.” The first, called “Harry Potter: Behind The Magic,” will feature behind the scenes footage and insights as well as cast interviews with Evanna Lynch, Imelda Staunton and Daniel Radcliffe among others. Costume designer Jany Temime reveals how the outfits go from script to screen for each film, starting with the young wizards and their school uniforms. Rupert Grint discusses the apparently unassuming clothes he wears as Ron Weasley. And new character, Professor Dolores Umbridge (Imelda Staunton) explains why she’s in the pink. On a less bright and light note, Death Eaters Lucius Malfoy (Jason Isaacs) and the evil Bellatrix Lestrange (Helena Bonham-Carter) explain how their costumes have been developed. Thanks for the ITV tip Ryan!